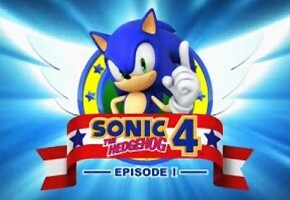 On the US Playstation store today is Sonic the Hedgehog 4: Episode I.
Playstation 3 owners are third in line to have the episodic game available for purchase, after Apple’s mobile devices last week, and the Nintendo Wii yesterday. European PS3 owners will be able to purchase the game tomorrow, as will XBOX 360 users around the world. Like its Wii counterpart, the PS3 edition of Sonic 4: Episode I will retail for the near equivalent of $15–$14.99, to be specific. There was some commotion as to the timing of the Wii release Monday, with a lot of fans griping the game wasn’t released dead on at midnight. It appears the PSN release will be no different, likely keeping PS3 owners waiting with anticipation until the afternoon for the store to update. Remember, patience is a virtue–and these release times are at the console controller’s discretion, not necessarily Sega’s. TSSZ News reviews of Sonic 4: Episode I are pending. I’ll have the mobile edition reviewed this week, and Ryan Bloom’s review of the console counterpart will shortly follow.